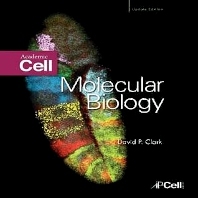 Molecular Biology: Academic Cell Update provides an introduction to the fundamental concepts of molecular biology and its applications. It deliberately covers a broad range of topics to show that molecular biology is applicable to human medicine and health, as well as veterinary medicine, evolution, agriculture, and other areas. The present Update includes journal specific images and test bank. It also offers vocabulary flashcards. The book begins by defining some basic concepts in genetics such as biochemical pathways, phenotypes and genotypes, chromosomes, and alleles. It explains the characteristics of cells and organisms, DNA, RNA, and proteins. It also describes genetic processes such as transcription, recombination and repair, regulation, and mutations. The chapters on viruses and bacteria discuss their life cycle, diversity, reproduction, and gene transfer. Later chapters cover topics such as molecular evolution; the isolation, purification, detection, and hybridization of DNA; basic molecular cloning techniques; proteomics; and processes such as the polymerase chain reaction, DNA sequencing, and gene expression screening.